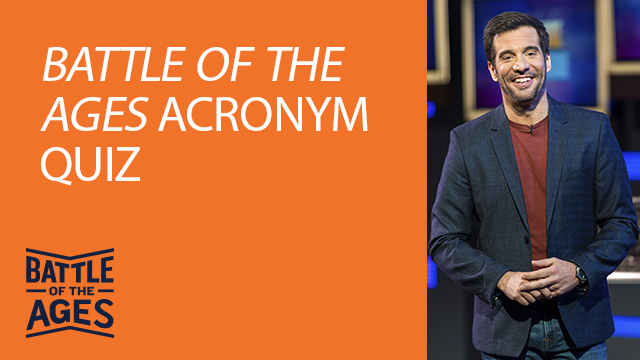 We've gotten to know JD, the host of Battle of the Ages, and now it's time to test his knowledge on popular acronyms! Some are old, some are new, but all of them are frequently used! Does JD know what LOL, TTYL, IMHO, and ICYMI mean? Find out below! 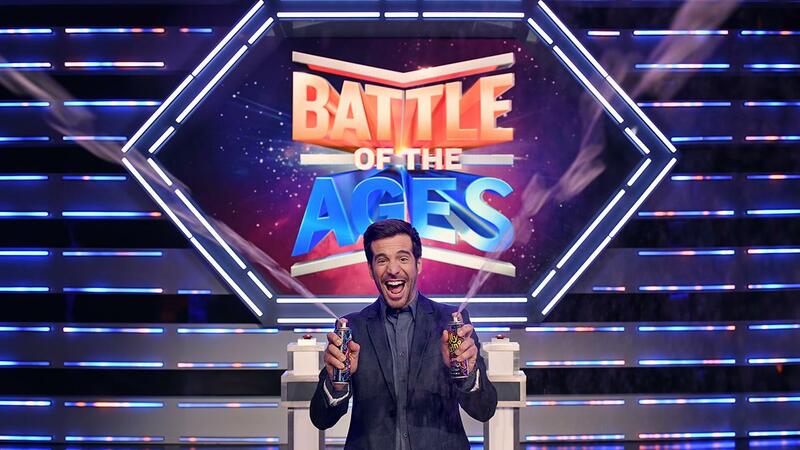 Tune in to BYUtv on Wednesdays at 8:30 ET | 5:30 PT for Battle of the Ages! Battle of the Ages features two families made up of three generations that bat-tle it out in three rounds of fun and intense games filled with questions, chal-lenges and larger than life characters. The family's knowledge of events and pop culture trends throughout the ages are put to the test to see just how much each generation knows. The family with the most points after three rounds advances to take on the "Timeline Challenge" where their speed, exper-tise and multi-generational knowledge could help them win up to $10,000!